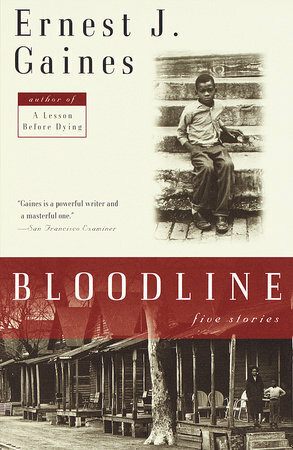 In these five stories, Ernest Gaines returns to the cane fields, sharecroppers' shacks, and decaying plantation houses of Louisiana, the terrain of his great novels A Gathering of Old Men and A Lesson Before Dying. As rendered by Gaines, this country becomes as familiar, and as haunted by cruelty, suffering, and courage, as Ralph Ellison's Harlem or Faulkner's Yoknapatawpha County. Gaines introduces us to this world through the eyes of guileless children and wizened jailbirds, black tenants and white planters. He shows his characters eking out a living and making love, breaking apart aand coming together. And on every page he captures the soul of black community whose circumstances make even the slightest assertion of self-respect an act of majestic—and sometimes suicidal—heroism. Bloodline is a miracle of storytelling.